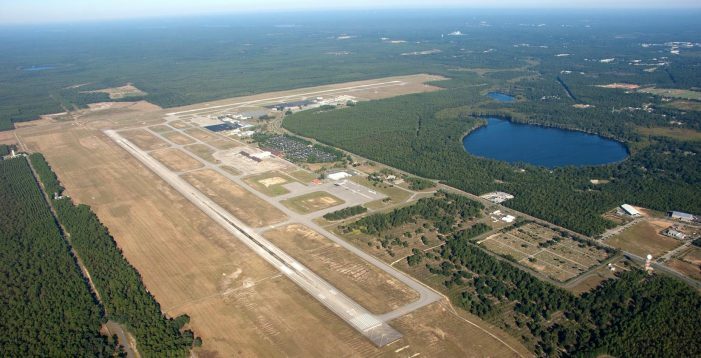 Since June of last year, the number of passengers moving through the Tallahassee International Airport has been on the increase. The latest information for March 2017 shows another increase in air travelers. The numbers show passenger traffic increased in March when compared to March traffic in 2016. The numbers for March 2017 show a 8.6% increase in passenger traffic. The number of passengers increased from 59,501 during last March to 64,606 this year. The Passenger Traffic Report shows passenger counts for the three major carriers. All three airlines showed a positive gain for March when compared to last year. The graph below shows the annualized number of passengers for the last 12-months. 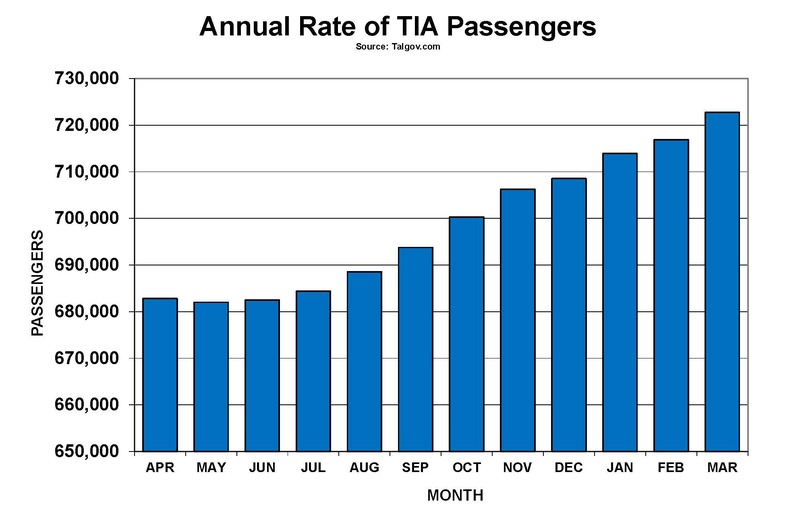 The annual rate of passengers at TIA in March was 722,690. This is 5.84% above the annualized rate reported last month. Annualized passenger traffic has increased nine consecutive months. The annualized number of passengers is calculated by summing the previous 12 months of traffic for each month.